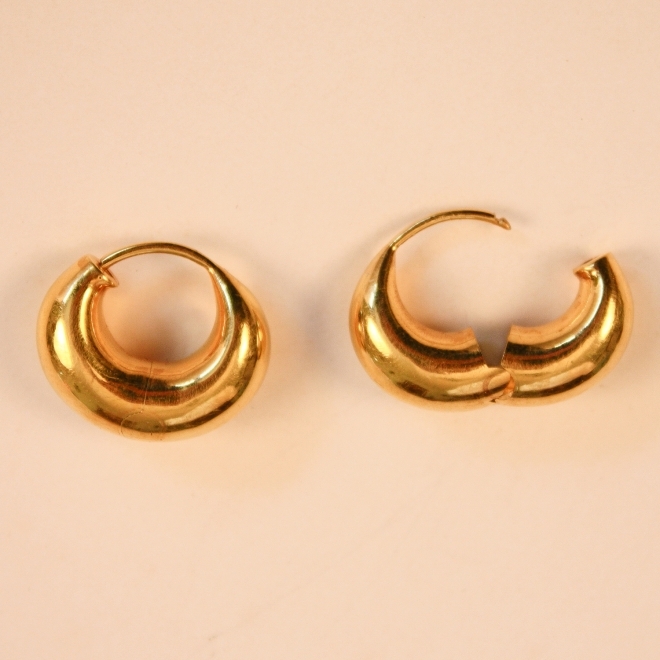 A beautifully designed pair of 18-karat yellow gold hollow, hinged hoop earrings. These cashew-shaped hoops are modestly sized and easy-to-wear. 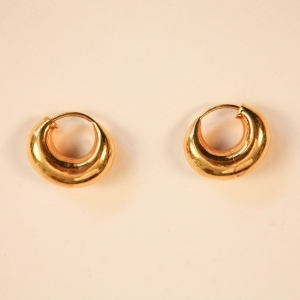 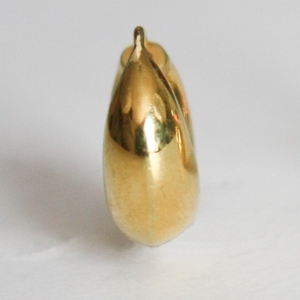 Each earring weights 3g.